Enter a different dimension at Socotra, an unusually peculiar-looking world that was long ago called “The Island of Bliss.” Located off the Horn of Africa, in the Indian Ocean, Socotra is about 150 miles away from Somalia and the threat of real-day pirates; it’s a little over 200 miles away from its mainland Yemen. And the landscape makes it “the most alien-looking place on Earth.” Although Socotra has wide sandy beaches rising to limestone plateaus full of caves, some 4.4 miles in length (7 km), wind-swept cliffs and mountains over 5,000 feet high, the island’s iconic image is of the Dragon’s Blood tree; it’s deep red resin was once considered to be ancient dragon blood. 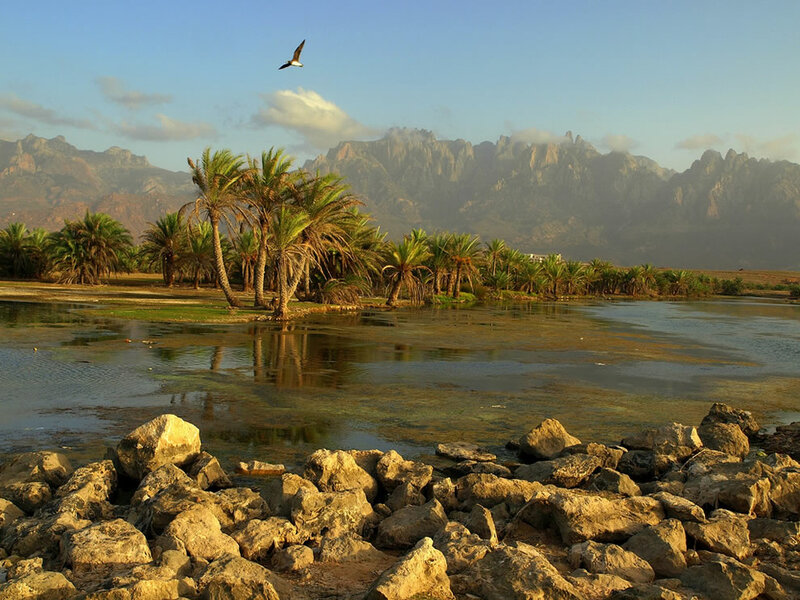 Some people have suggested that Socotra might have been the original Garden of Eden. Currently every single Trip Advisor tourist review rated Socotra as “excellent.” Of course, there are high security threats like kidnapping and terrorism; the US State Department warned Americans against traveling to Yemen. In 2011, Somali pirates were using the island as a fuel base. Yet tourists call it a “hidden gem” for those adventurous souls not seeking a luxury resort. Most of us will never visit this out of this world island of Socotra.